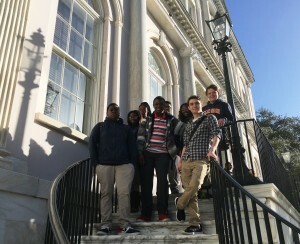 Students from West Ashley High School and Charleston Charter School for Math & Science had the opportunity to shadow various departments in the City of Charleston municipal team today. The morning began in the historic Charleston City Hall’s Council Chambers. 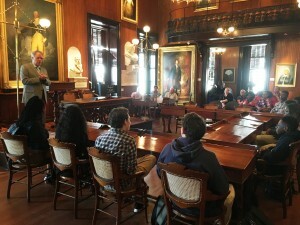 Surrounded by priceless paintings and other treasures, students got a personal welcome from Mayor John Tecklenburg. He explained the value of relationships and teamwork. 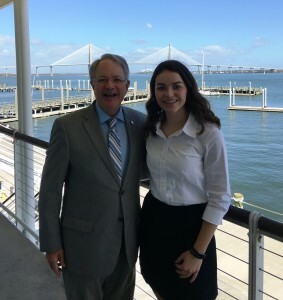 He also shared the history of the location of City Hall, along with the court house, post office and St. Michael’s Episcopal Church, make up the “Four Corners of Law“, a famous landmark in Charleston. Then students were connected with representatives from their job shadowing host departments to begin a deep dive into various professions. 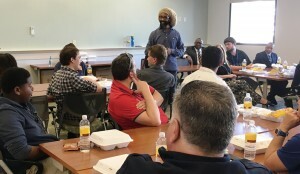 After the students completed their visits to their host departments, everyone reconvened at the City of Charleston offices on the third floor at 75 Calhoun Street for a debriefing luncheon. Special thanks to Kickin’ Chicken for donating the box lunches for this event! 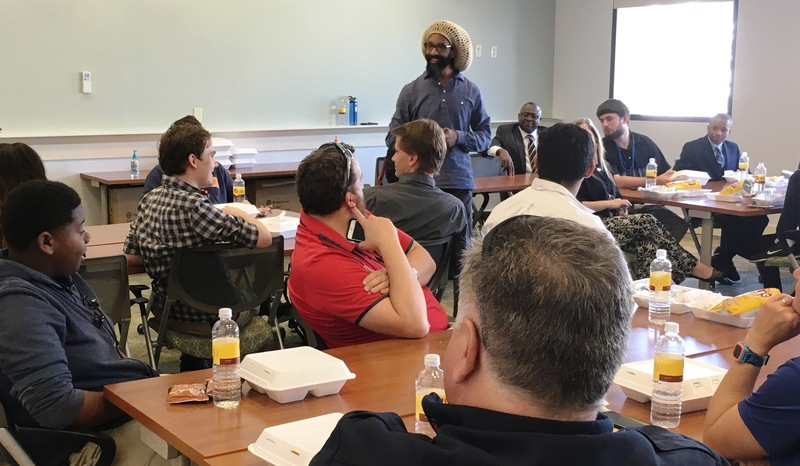 After the students shared stories about their job shadowing experiences, Jason Mitchell with the city’s Human Resources department addressed the students. He asked each student about their career aspirations, and provided excellent feedback and pointers tailored to their replies. Mr. Mitchell encouraged the students to surround themselves with the type people they wanted to become, including their time online. He also provided memorable quotes to add to their toolbox like, “there are riches in niches”, i.e. putting in the work to become a specialist in a specific niche profession is a path to long term success. 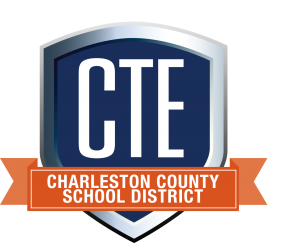 Special thanks to all the City of Charleston departments that invested theirtime in CCSD students today to make this work-based learning opportunity possible, especially the MOCYF team led by Mindy Sturm, Jason Mitchell from HR, and Mayor Tecklenburg.